Hii guyss. Today.. kmk mok share about skin care. Scrub to be exact. Lets get started!! .Yang untuk jerawat.Ada BHA.Untuk mengurangkan jerawat. Yang paling laris sebab viral. Yang ni untuk buang blackhead,whitead, pori tersumbat, dan lawan jerawat jugak. Personal Review: I used this brand and its really nice. Maybe can be used as frequent as several times a week. 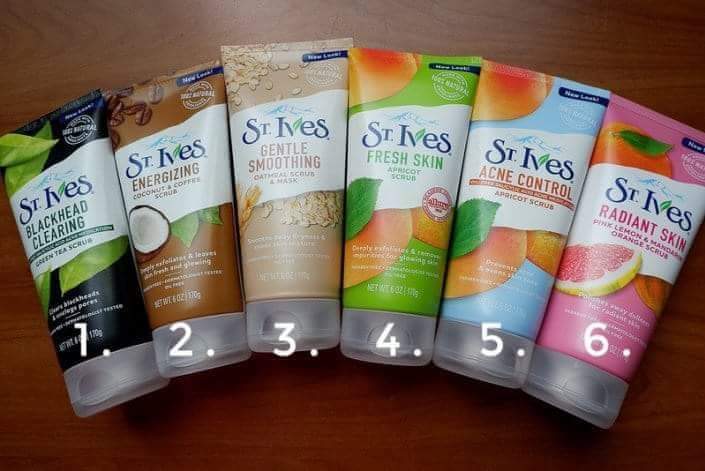 For sensitive skin, maybe 2x at most? Untuk kulit kusam nak bagi berseri glowing berseri balik. Untuk jerawat dan jeragat. Universal. Warning: Not suitable for soft sensitive skin coz scrub ni a bit kasar. I'd recommend that pakey at most 1 or 2x a week. Untuk kulit kering dan tak sekata.Sesuai untuk muka yang tak ada masalah sangat. Since it is a soft exfoliator, maybe can use selang sehari. Use moderately. Biasanya skrub kopi orang guna untuk kat badan.Kat muka pun boleh guna. Warning: Not suitable for soft sensitive skin since its beads are rough. Could tear skin if scrubbed too frequent or roughly. Reccommended to be used for once or twice at most per week. Last but not least, do wash your skin and apply mosturizer to replace moistures and prevent skin from drying. Do wait for the upcoming updates involving mask pulak okay.